Dr. Omar N. Lweno has over 10 years of experience in clinical patient care and supervision of health services. He has also served as coordinator of Care and Treatment Clinic for People living with HIV/AIDS which was technically supported by the Elizabeth Glaser Paediatric HIV Foundation (EGPAF). He has served as a study clinician in a number of drug trials evaluating Artemisinin-based combination therapies (ACTs), and Bioequivalence studies. His research experience include malaria vaccine trials from phase 1 trials of Controlled Human Malaria Infection by PfSPZ- Sporozoite challenge and p27A antigen to phase 3 multicentre trial of the RTS,s candidate malaria vaccine as Safety Clinician. He has worked as Co-investigator in the IDEA-Tz project part of the international consortium examining the immunological interaction between Helminths/Malaria and Helminths/HIV. 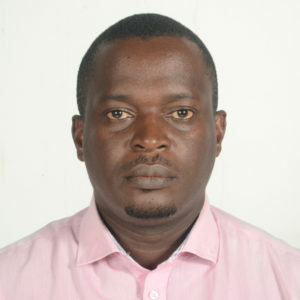 He also served as Co-investigator in the recently completed “Human monoclonal antibodies study to aid antigen discovery and prioritization for malaria vaccine development” among pregnant women with malaria in collaboration with the National Institute of Medical Research (NIMR) and University of Cape Town. Dr. Lweno is the Principal Investigator of a phase 3 clinical trial comparing Intravenous Ferric Carboxymaltose (Ferinject) to Oral iron in the treatment of iron deficiency anemia at delivery in Tanzania(ClinicalTrials.govID: NCT02541708). This is a collaborative study between Ifakara Health Institute and Swiss Tropical and Public Health Institute (Swiss TPH).